My name is Liana and I am a new found cycling enthusiast. Until recently I hadn't even sat on a bike in over 25yrs, and then I was given a mountain bike and I haven't looked back since! I started with a very basic mountain bike (which weighed a tonne!) and then last August I invested in a Liv Bliss 2 bike which has become my pride and joy. 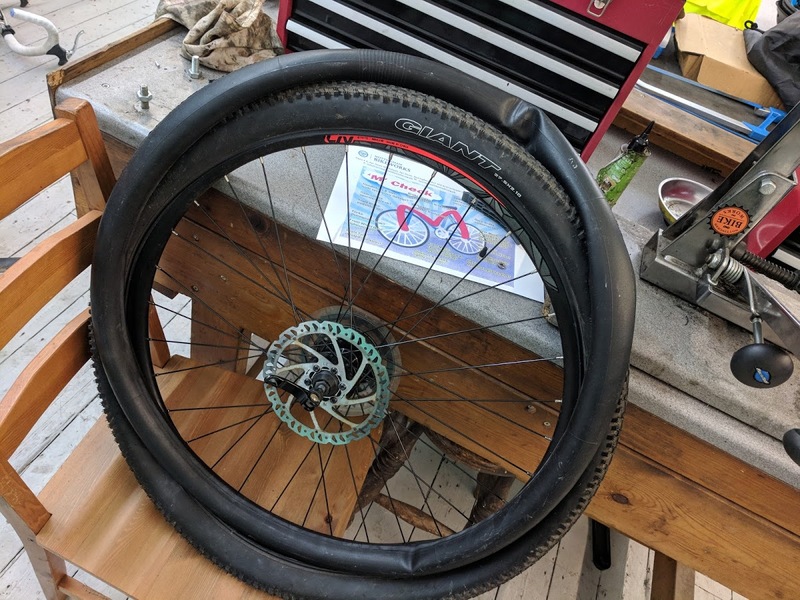 It's lightweight and has really chunky tyres so I can get through trails nice and easy. I do a lot of miles on the road around my town but I love to get out on the trails at Sherwood and Cannock Chase, so this bike is perfect. The only thing missing from my new found passion was any bike maintenance skills AT ALL. I didn't even know how to fix a puncture or change a tyre and as a single Mum of 2 boys, these skills seem pretty integral! So off I set in search of someone who could teach me more.. 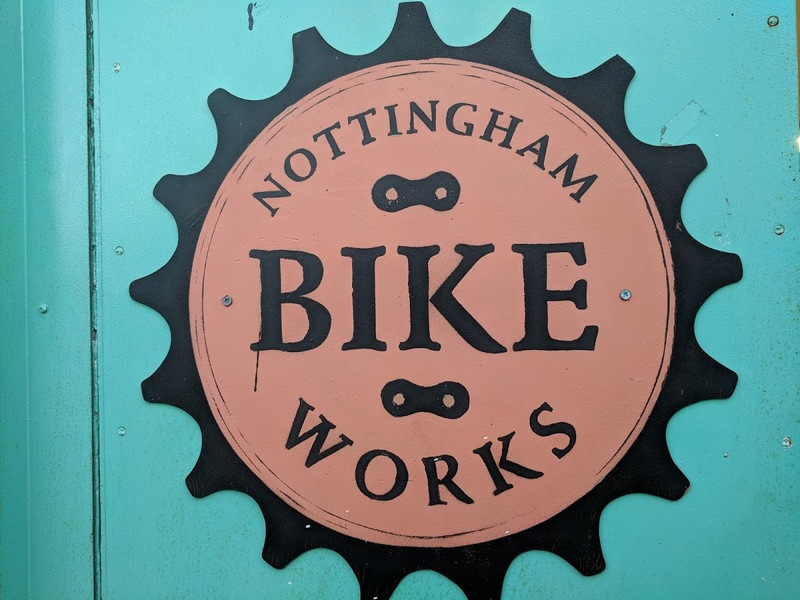 I found an Not for Profit organisation called Nottingham Bikeworks who are based in the centre of Nottingham. 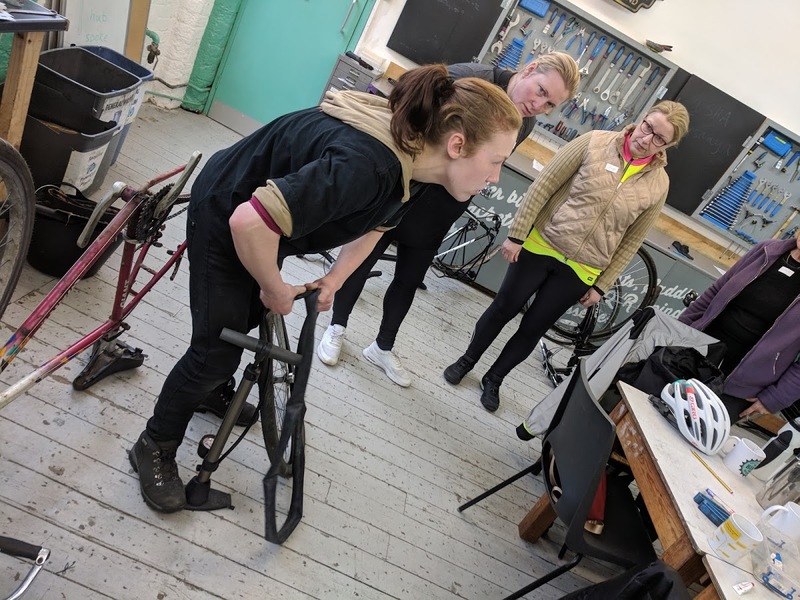 They run loads of courses and I found one which was a Beginners Bike Maintenance especially for women. 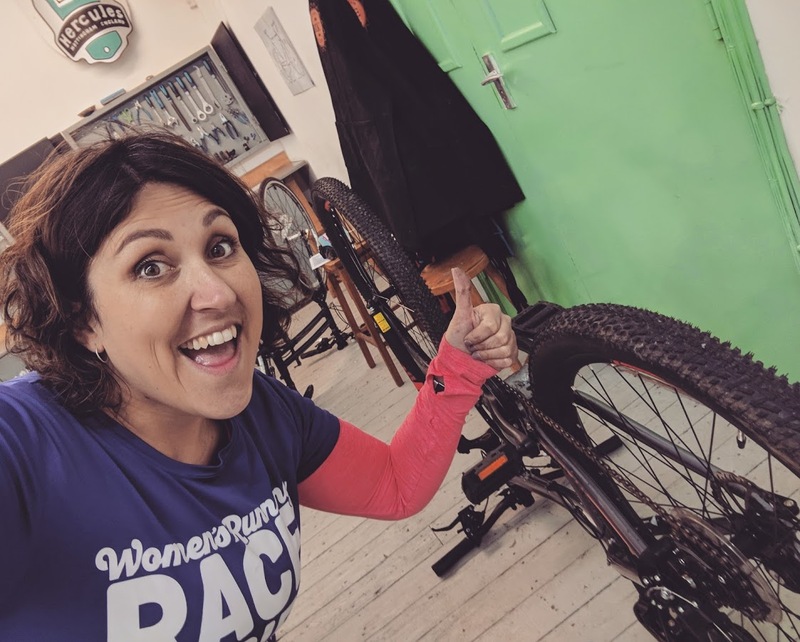 It covered all the basics about getting to know your bike and it was a day long course with an excellent (and patient!) teacher and a fab homemade lunch. The course is priced at a very reasonable £30 and was worth every penny. I met some lovely ladies on the day and we learnt so much together. We swapped stories of how we got into cycling and exchanged information about local riding groups - people came from every part of Nottinghamshire to attend so there really was a mixed group of people with various skills and backgrounds. We learnt how to fix a puncture, how to change your inner tube, how to check your bike for basic problems, changing brake cables, adjusting gears, maintaining you bike to keep it in working order and which are the essentials tools to keep in your portable toolkit. 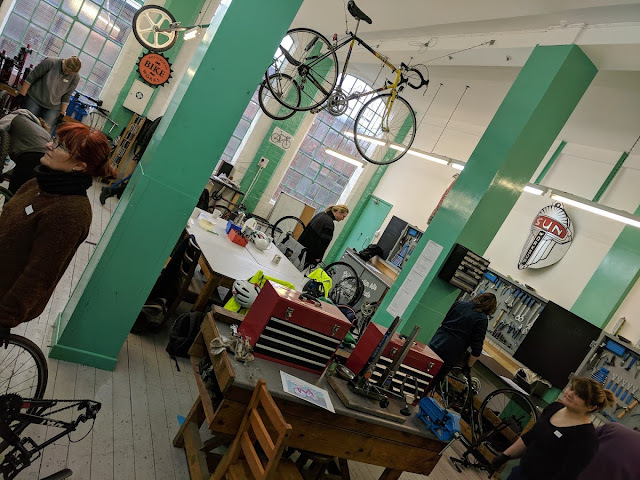 The workshop is lovely and spacious and all the staff were lovely. I really can't recommend this course enough and attending gave me such a feeling of independence, I was almost wishing for a puncture on my 6 mile journey home so I could prove to myself I could fix it! There is a further Intermediate Bike Maintenance Course which I'm looking into booking soon. Unfortunately I had my bike stolen last week so I'm waiting for a replacement which I can take with me and practice my new skills on!